Our factory owns its own pad manufacturing facilities which means we can even personalise your pads on larger orders. 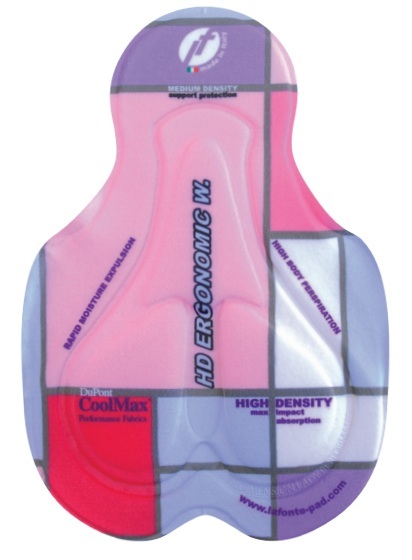 We use two pads which are ideally suited to racing – lightweight, unobtrusive and using proprietary technologies such as Coolmax™, they transport moisture away from the sensitive areas and promote maximum ventilation. To upgrade from our standard Rekord pad to our Concorde 3D pad, we have no set up charge. This is one of many benefits of in-house manufacturing. 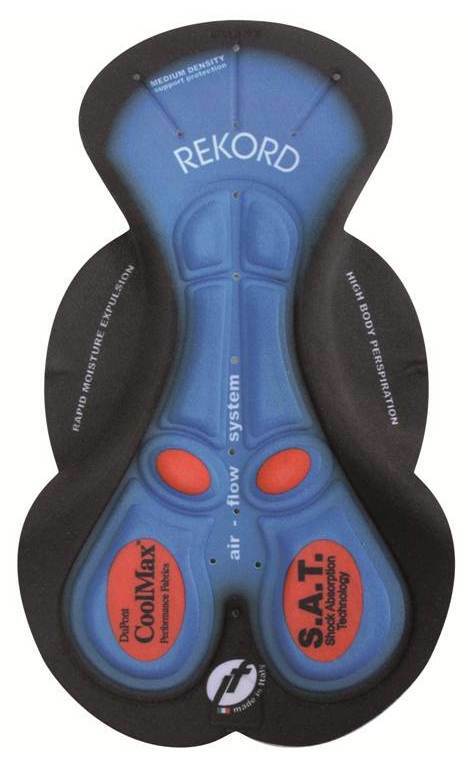 The Rekord pad uses High Density Memory Foam such as that used in orthapaedic pillows and Mattresses to mould itself to the contours of the sit bones, whilst retaining structure to leave ventilation channels available. The Concorde is an easy upgrade to a lighter yet more supportive experience. As ever though, it’s very personal, so contact us for more information. We ride our range!